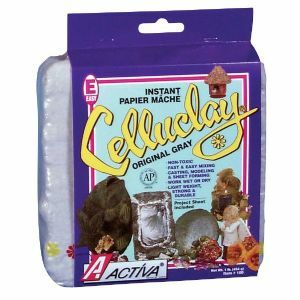 The original instant paper mache product, Celluclay® mixes easier, faster, and more evenly than other brands, with less dust and overall mess. Make it as stiff or as soft as projects require. 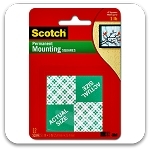 Ideal for all kinds of sculpture, jewelry, and home decor items. Casts like a paper pulp, can be used to form sheets, and can even be worked like slab-formed clay. Non-toxic and dries to superior hardness without firing. Can be sanded, sawed, drilled, and assembled with glue or nails when dry. Accepts virtually any color or surface finish and can even be waterproofed! Finished pieces are lightweight, strong, and durable. Store indefinitely in dry form or refrigerated in moist form. Store for an extended time in moist form at room temperature. Available in original Gray or Bright White.